The Mornington Peninsula VineHop Festival is a relatively new event created for craft beer lovers, pinot drinks, cider enthusiasts and anyone who is curious to learn more about the region’s unique producers and products. The festival takes place in the Mornington Peninsula: a truly breathtaking location, which draws thousands of visitors each year. 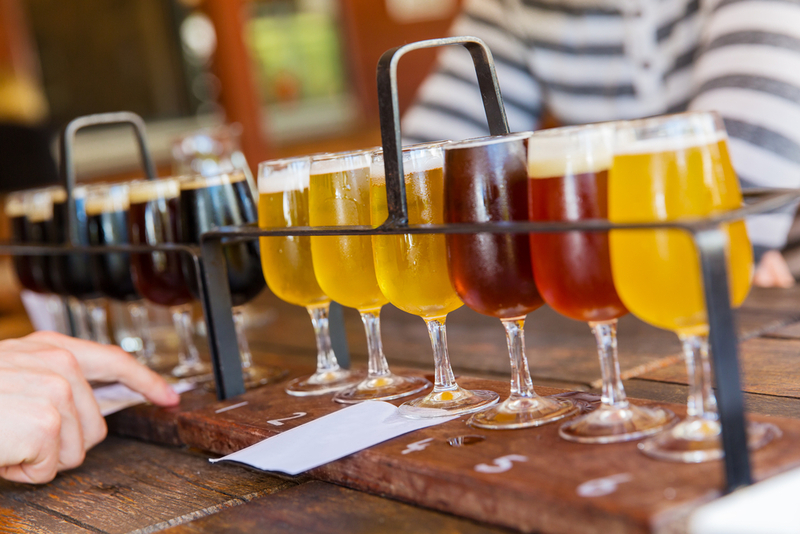 There will be ten participating venues and over 50+ samples of beer, wine and cider. At each venue, there will be incredible live music and DJS, as well as a range of food trucks with scrumptious meals available for purchase. The bar will also have a selection of tastings available. Make sure you bring some cash to purchase food and additional drinks throughout the day. The festival runs from 10am to 5pm on Saturday 18 and Sunday 19 November. Tickets start from $38 and are available for purchase online through VineHop’s website. For this year’s VineHop Festival, make sure your have your ticket(s), some cash, your ID, a picnic rug (if you want to relax) and a cheerful attitude. Some other items you may want to consider bringing include sunscreen, sunglasses, a hat, sensible footwear and a warm jacket. Please remember that BYO alcohol is not permitted and glasses will be provided on your bus or at the venue if you’re self-driving. As the festival has several different venues, it is important that you plan how you’re going to get around beforehand. We recommend booking a shuttle bus as it’s a safe, convenient and affordable way to get around. Melbourne on the Move will be offering Shuttle Buses to get from one venue to the next. As a proud local business dedicated to getting you where you want to go on time and with minimal fuss, our shuttle bus services are the perfect way to navigate the VineHop Festival this year. To book your shuttle bus ticket today, head to the VineHop website.